As state nursing groups around the country begin to tackle the implementation of the IOM/Future of Nursing Report, many believe that there is a direct correlation between this legislation and the Report. 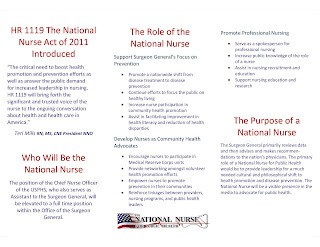 Supporters of HR 1119 The National Nurse Act of 2011 are in strong agreement that nurses must participate fully in the transformation of America's healthcare system and this key message "Nurses should be full partners, with physicians and other health care professionals, in redesigning health care in the United States" resonates strongly. 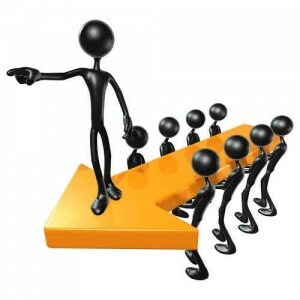 * Provide guidance and leadership for activities to promote the public health. * Develop projects that educate the public about and engage the public in prevention practices to achieve better health. * Provide guidance and leadership to encourage nurses to engage in furthering their education in order to conduct nursing research. Increase the awareness of evidence-based practice. * Participate in the identification of national health priorities. * Strengthen the relationship between Government agencies and health-related national organizations. * Promote the dissemination of evidence-based practice in educating the public on health promotion and disease prevention activities. 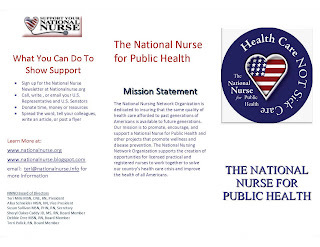 * Encourage practicing nurses and other health professionals, including retired health professionals and students enrolled in health professional programs, to participate in health promotion activities and replicate successful health promotion. "Prepare and enable nurses to lead change to advance health. 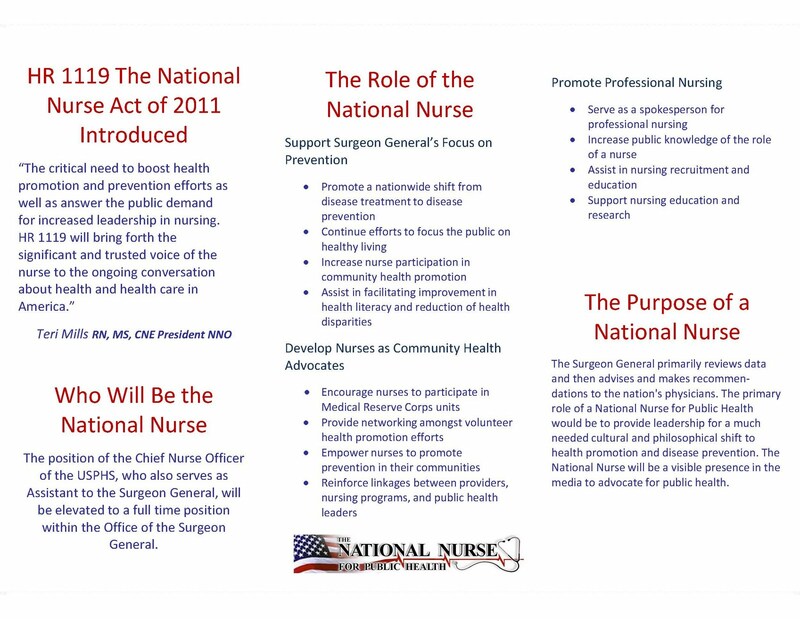 Nurses, nursing education programs, and nursing associations should prepare the nursing workforce to assume leadership positions across all levels, while public, private, and governmental health care decision makers should ensure that leadership positions are available to and filled by nurses. Public, private, and governmental healthcare decision makers at every level should include representation from nursing on boards, on executive management teams, and in other key leadership positions." Please contact the NNNO Board of Directors to learn how you and organizations you belong to can support this legislation that offers a pragmatic means to fully implement these worthy goals. Thanks to a group of dedicated nursing students in Oregon, the National Nursing Network Organization now has a brochure available providing an explanation of HR 1119. This pamphlet can be used if you are planning an event or educational meeting on this legislation. Please email the NNNO Board of Directors for a copy today!